Bayram is the Turkiс word for a nationally celebrated festival or holiday, applicable to both national (i.e. secular) or religious celebrations. In accordance with this dual applicability, the method with which one determines the yearly timing of Bayrams is different for national and religious holidays. 29 Ekim Cumhuriyet Bayramı, Türkiye Cumhuriyeti'nin ilanı anısına her yıl 29 Ekim günü Türkiye ve Kuzey Kıbrıs'ta kutlanan ulusal bayramdır. Mei Lanfang (simplified Chinese: 梅兰芳; traditional Chinese: 梅蘭芳; pinyin: Méi Lánfāng) (October 22, 1894 – August 8, 1961) was one of the most famous Beijing (Peking) opera artists in modern history, exclusively known for his qingyi roles, a type of dan role. Méi Lánfāng is his stage name, and in Chinese it is generally considered a feminine name. His real name was Méi Lán (simplified Chinese: 梅澜; traditional Chinese: 梅瀾). Mei, Shang Xiaoyun (尚小云), Cheng Yanqiu (程砚秋) and Xun Huisheng (荀慧生) were known as Four Great Dan in the golden era of Peking Opera. Tarō Hirai (平井 太郎 Hirai Tarō?, October 21, 1894 - July 28, 1965), better known by the pseudonym Edogawa Rampo (江戸川 乱歩 Edogawa Ranpo?, usually romanized as "Edogawa Rampo"), was a Japanese author and critic. He wrote many works of detective fiction. Kogoro Akechi was the primary detective of these novels. Rampo was an admirer of western mystery writers, and especially of Edgar Allan Poe. His pseudonym is actually a Japanese rendering of Poe's name. Other authors who were special influences on him were Maurice Leblanc and Sir Arthur Conan Doyle. Dzień Edukacji Narodowej – polskie święto branżowe oświaty i szkolnictwa wyższego obchodzone 14 października, w rocznicę powstania Komisji Edukacji Narodowej (KEN), utworzonej z inicjatywy króla Stanisława Augusta Poniatowskiego na mocy uchwały Sejmu Rozbiorowego z dnia 14 października 1773 roku. Max Havelaar: Or the Coffee Auctions of the Dutch Trading Company (Dutch: Max Havelaar, of de koffij-veilingen der Nederlandsche Handel-Maatschappij) is a culturally and socially significant 1860 novel by Multatuli (the pen name of Eduard Douwes Dekker) which was to play a key role in shaping and modifying Dutch colonial policy in the Dutch East Indies in the nineteenth and early twentieth century. In the novel, the protagonist, Max Havelaar, tries to battle against a corrupt government system in Java, which was a Dutch colony at the time. Thanksgiving, or Thanksgiving Day (Canadian French: Jour de l'Action de grâce), occurring on the second Monday in October, is an annual Canadian holiday to give thanks at the close of the harvest season. Although the original act of Parliament references God and the holiday is celebrated in churches, the holiday is also celebrated in a secular manner. Giuseppe Fortunino Francesco Verdi (Italian pronunciation: [dʒuˈzɛppːe ˈverdi]; October 9 or 10, 1813 – January 27, 1901) was an Italian Romantic composer, mainly of opera. He was one of the most influential composers of the 19th century. His works are frequently performed in opera houses throughout the world and, transcending the boundaries of the genre, some of his themes have long since taken root in popular culture - such as "La donna è mobile" from Rigoletto, "Va, pensiero" (The Chorus of the Hebrew Slaves) from Nabucco, and "Libiamo ne' lieti calici" (The Drinking Song) from La traviata. Although his work was sometimes criticized for using a generally diatonic rather than a chromatic musical idiom and having a tendency toward melodrama, Verdi’s masterworks dominate the standard repertoire a century and a half after their composition. Hangul Day — also called Hangul Proclamation Day or Korean Alphabet Day — is a Korean national commemorative day marking the invention and the proclamation of hangul (한글), the native alphabet of the Korean language, by King Sejong the Great. It is observed on October 9 in South Korea and on January 15 in North Korea. In North Korea the day is called Chosŏn'gŭl Day. 한글날은 세종대왕이 훈민정음을 반포한 것을 기념하기 위한 날이다. 대한민국에서는 10월 9일이다. 조선민주주의인민공화국에서는 1월 15일에 조선글날을 기념한다. 이 날에 대한민국에서는 국기인 태극기를 단다. 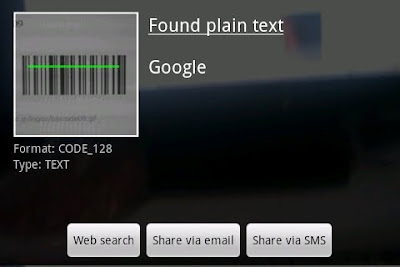 A barcode (also bar code) is an optical machine-readable representation of data. Originally, bar codes represented data in the widths (lines) and the spacings of parallel lines, and may be referred to as linear or 1D (1 dimensional) barcodes or symbologies. They also come in patterns of squares, dots, hexagons and other geometric patterns within images termed 2D (2 dimensional) matrix codes or symbologies. Although 2D systems use symbols other than bars, they are generally referred to as barcodes as well. Tsukimi (月見), (sometimes written as Otsukimi) literally moon-viewing, refers to Japanese festivals honoring the autumn moon. The celebration of the full moon typically takes place on the 15th day of the eighth month of the traditional Japanese lunisolar calendar; the waxing moon is celebrated on the 13th day of the ninth month. These days normally fall in September and October of the modern solar calendar. The Tsukimi custom was originally borrowed from the Chinese Mid-Autumn Festival. The tradition is now so popular in Japan that some people repeat the activities for several evenings following the appearance of the full moon during the eighth lunisolar month. Chuseok, originally known as Hangawee (한가위) (from archaic Korean for "great middle"), is a major harvest festival and a three-day holiday in Korea celebrated on the 15th day of the 8th month of the lunar calendar. Like many other harvest festivals, notably the Chinese Mid-Autumn Festival, it is held around the Autumn Equinox. As a celebration of the good harvest, Koreans visit their ancestral hometowns and share a feast of Korean traditional food. 추석(秋夕)은 한가위, 중추, 중추절, 가배일로 부르기도 하며, 음력 8월 15일에 치르는 명절로서 설날 다음으로 한국인에게 전통적으로 깊은 뜻을 지니고 있는 한국의 전통적인 명절이다. 가을 추수를 끝내고 햅쌀과 햇과일로 조상들께 감사의 마음으로 차례를 지내며, 특히 송편은 추석에 먹는 별미로 들 수 있다. 추석에는 고향을 방문하는 전통이 있다. 이때문에 전국민의 75%가 고향을 방문하여 추석이 되면 전국의 고속도로가 정체되고 열차표가 매진되는데, 이러한 현상을 '민족대이동'이라 부르기도 한다. 대한민국에서는 추석 전날과 다음날까지 3일이 공휴일이다. 단, 일요일이 연휴와 겹치더라도 공휴일이 연장되지 않는다. The Mid-Autumn Festival, also known as the Moon Festival, or in Chinese, Zhongqiu Jie (traditional Chinese: 中秋節), is a popular harvest festival celebrated by Chinese people, Japanese people (Tsukimi festival in Japanese), Koreans (Chuseok festival in Korean), and Vietnamese people (even though they celebrate it differently), dating back over 3,000 years to moon worship in China's Shang Dynasty. It was first called Zhongqiu Jie (literally "Mid-Autumn Festival") in the Zhou Dynasty. In Malaysia, Singapore, and the Philippines, it is also sometimes referred to as the Lantern Festival or Mooncake Festival. The Mid-Autumn Festival is held on the 15th day of the eighth month in the Chinese calendar, which is usually around late September or early October in the Gregorian calendar. It is a date that parallels the autumn and spring Equinoxes of the solar calendar, when the moon is supposedly at its fullest and roundest. Mohandas Karamchand Gandhi (Gujarati: મોહનદાસ કરમચંદ ગાંધી, pronounced [moːɦənˈdaːs kəɾəmˈtʂənd ˈɡaːndʱiː] ( listen); 2 October 1869 – 30 January 1948) was the pre-eminent political and spiritual leader of India during the Indian independence movement. He was the pioneer of satyagraha—resistance to tyranny through mass civil disobedience, firmly founded upon ahimsa or total non-violence—which led India to independence and has inspired movements for civil rights and freedom across the world. Gandhi is commonly known around the world as Mahatma Gandhi (Sanskrit: महात्मा mahātmā or 'Great Soul', a honorific first applied to him by Rabindranath Tagore), and in India also as Bapu (Gujarati: બાપુ bāpu or 'Father'). He is officially honoured in India as the Father of the Nation; his birthday, 2 October, is commemorated there as Gandhi Jayanti, a national holiday, and worldwide as the International Day of Non-Violence. The People's Republic of China (PRC) (simplified Chinese: 中华人民共和国; traditional Chinese: 中華人民共和國; pinyin: Zhōnghuá Rénmín Gònghéguó listen (help·info)), commonly known as China, is the largest country in East Asia and the most populous in the world with over 1.3 billion people, approximately one-fifth of the world's population. It is a socialist republic (specifically a people's democratic dictatorship according to its constitution) ruled by the Communist Party of China under a single-party system, and has jurisdiction over twenty-two provinces, five autonomous regions (Xinjiang, Inner Mongolia, Tibet, Ningxia, and Guangxi), four municipalities (Beijing, Tianjin, Shanghai, and Chongqing), and two highly autonomous Special Administrative Regions (Hong Kong and Macau). The PRC's capital is Beijing.